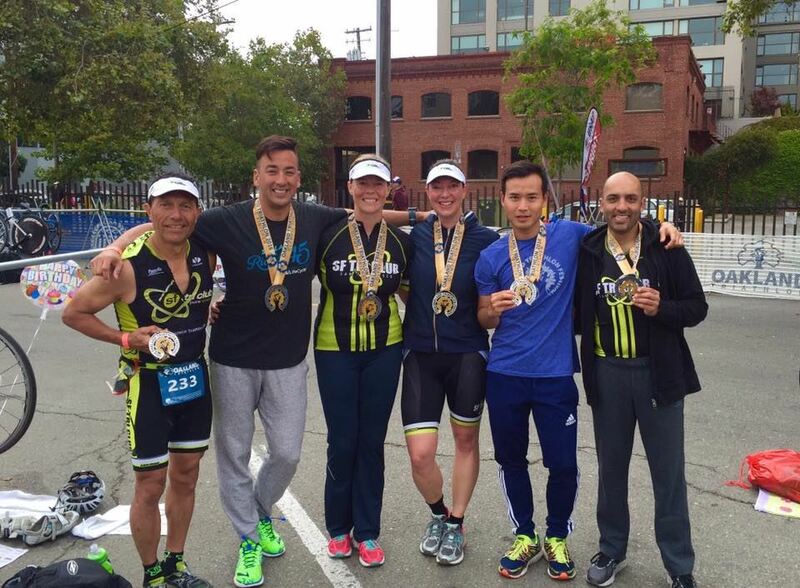 SF Tri Club offers specialty programs for first-time triathletes (0-60) and experienced endurance athletes (Ironman training group). The Club also offers weekly coached spin classes and track workouts to supplement members' training at all levels. These are great opportunities to focus on speed work and technique in these disciplines as well as get to know club members better. 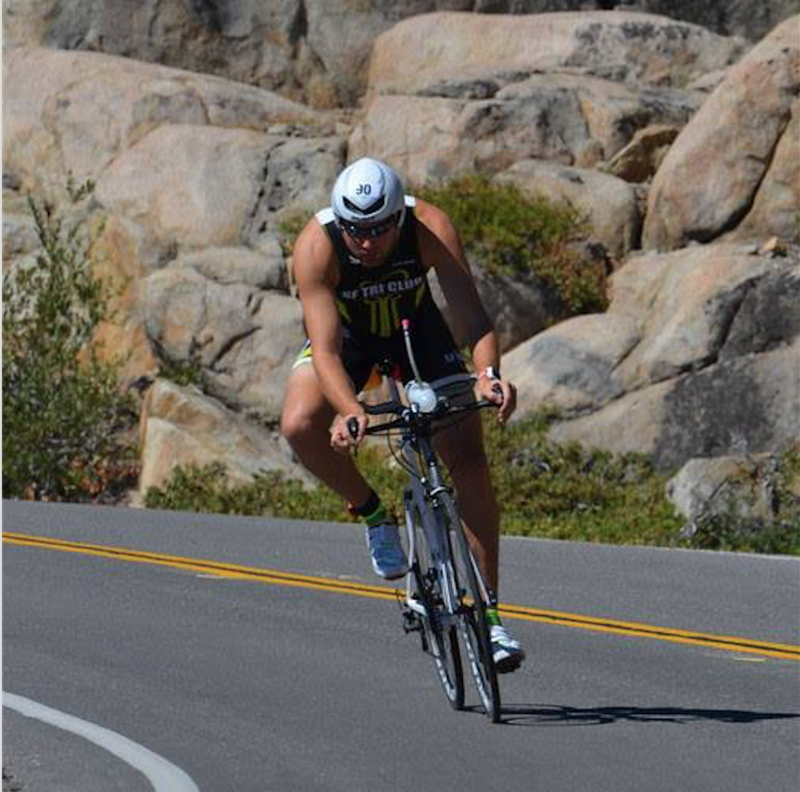 The 0-60 program helps you transform your basic swim, bike and run skills into race success targeting the Napa HITS Triathlon in April. 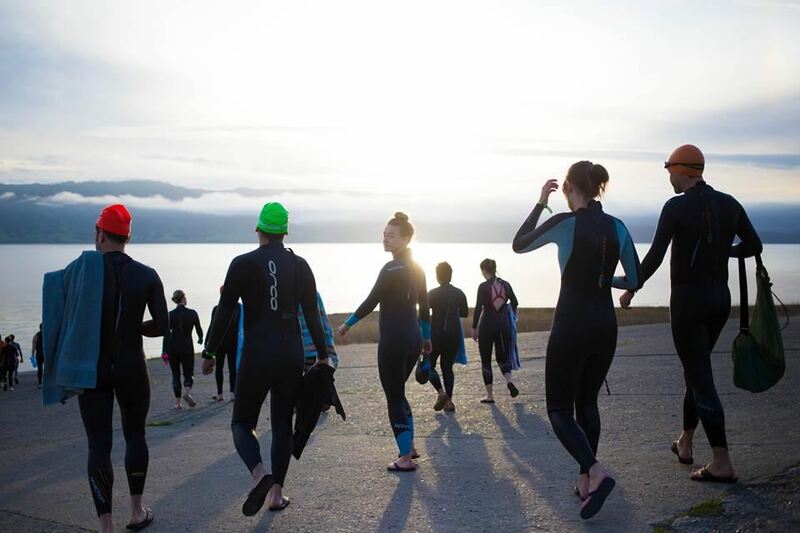 This 13-week program provides the training schedule, club support and mentorship you need to complete your first Olympic distance triathlon (1.5k swim, 40k bike, and 10k run). 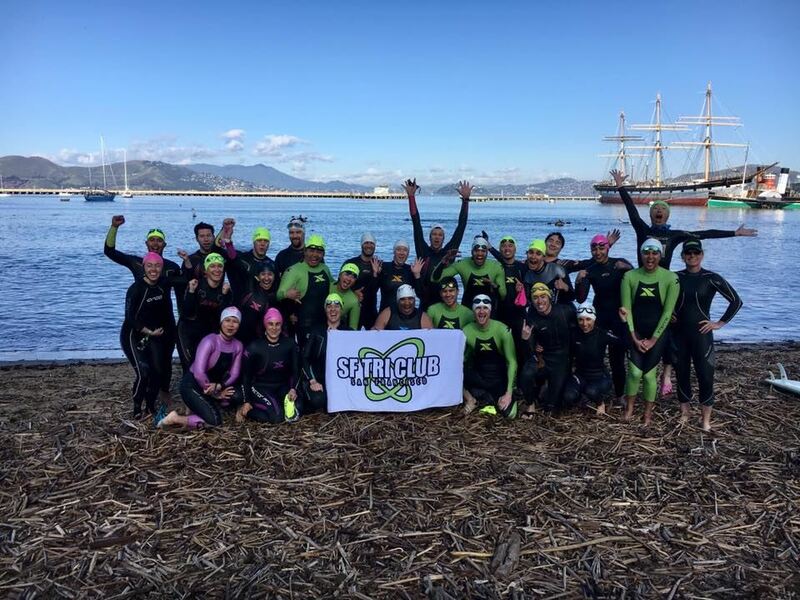 Each year, members of the SF Tri Club compete in one or more iron-distance triathlons (2.4-mile swim, 112-mile bike ride, 26.2 mile run). Yep, that adds up to 140.6, just in case you wanted to go ahead and get that sticker for your car for added motivation. Sample training plans are available to use as a starting point for creating your own plan. Feel free to modify it to fit your schedule, fitness, specific race and goals. You should have the basic skills to swim, bike, and run, as well as a basic level of fitness before starting these plans. Caution: If you are not experienced with focused training or have a medical condition, please consult your doctor before starting your training. 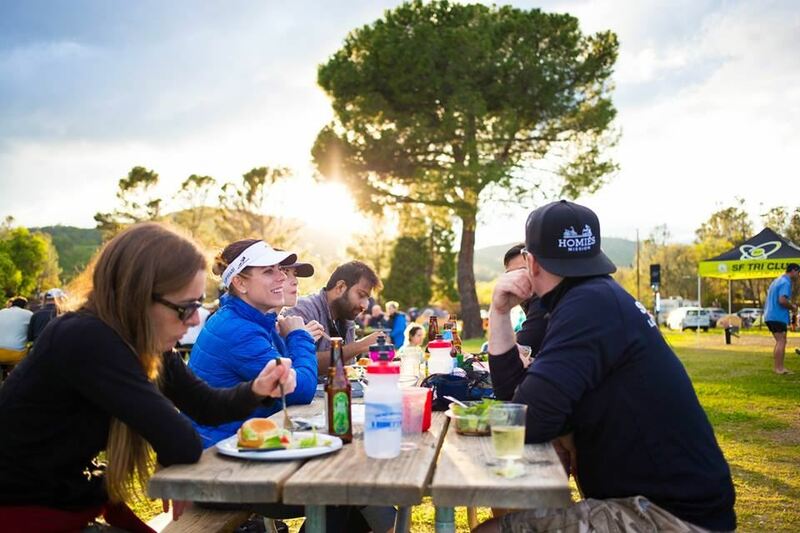 Join us at Lake Berryessa for a fun weekend full of camping, swimming, biking, running, and more on the Napa HITS Race course. Other training weekends are announced on our calendar in advance of other races throughout the year.